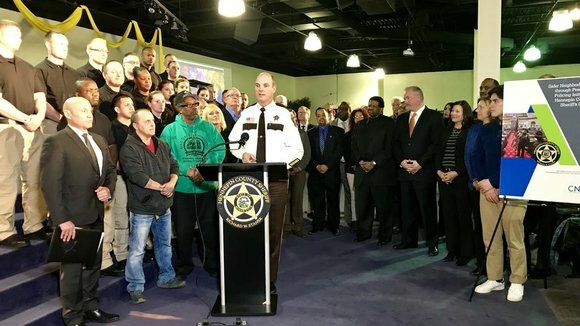 Late last week, Sheriff Stanek, members of the Sheriff’s Community Advisory Board, and national police-community experts representing the U.S. Department of Justice – Community Oriented Policing Services Office, highlighted the community oriented policing efforts by our agency that have become a national model. Members of the Sheriff’s Community Advisory Board discussed their role in providing community oversight for our office. Their oversight has led to important conversations about how best to build community trust, and a changing agency culture that incorporates community views and expectations about officer training, agency policy, diversity hiring, and crime reduction efforts, as they relate to this 21st Century Policing Initiative. As part of this 21st Century Policing Initiative, our agency has worked to train and empower all employees to participate in agency-wide community engagement efforts. Everyone from records clerks and detention deputies to the sworn officers and the Sheriff are personally engaging with residents and community leaders at every level. The team representing the C.O.P.S. Office highlighted some of the unique programs our agency has implemented related to 21st Century Policing Initiative. New programs have included crisis intervention training, classroom training on 21st Century Policing Initiative, implicit bias and procedural justice, cultural awareness training, and deputy wellness programs. Conversations with the community have included the most controversial topics, from officer hiring standards and discipline, to reviewing the process involved in investigating an officer-involved shooting. These programs have been documented during the past three years by the representatives from the C.O.P.S. Office, and are included in a report that will be available to nearly 18,000 law enforcement agencies through the country as a “how to” guide for community policing. April 8-14, 2018 is National Public Safety Telecommunicators Week. Each year since 1994, the second full week of April has been dedicated to the men and women who serve as public safety telecommunicators. In Hennepin County, the Sheriff’s Office operates the 911 Emergency Communications Facility in Plymouth that provides service to more than 500,000 residents in the county, dispatches for 38 communities, 25 law enforcement agencies, 24 fire agencies; and works with four secondary EMS providers. In a typical year, our telecommunicators, also known as dispatchers, handle nearly 650,000 telephone transactions with 245,000 of those being 911 calls. Last year our telecommunicators also began accepting texts to 911, a great option when you are unable to call 911, such as a domestic incident, a break-in, or a medical event. It is also beneficial for the deaf and hard of hearing community. 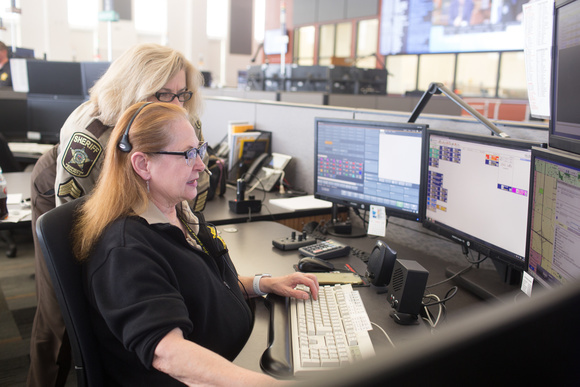 Dispatchers still prefer that you call 911 if you can, since the immediate two-way communication allows for faster information gather during an emergency. To all of our telecommunicators, thank you for everything you do! Welcome to the Sheriff’s Office! Last week, our newest class of Detention Deputies began 10 weeks of training. 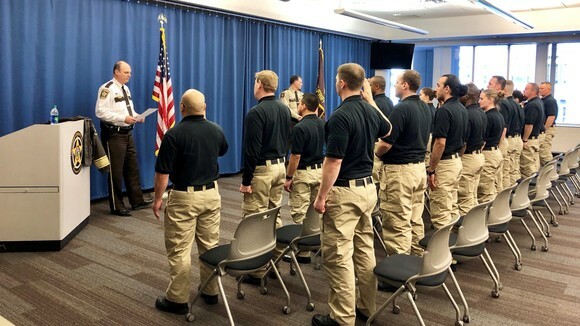 Upon successful completion of their training, they will be assigned to the Hennepin County Sheriff’s Office Adult Detention Center, or Jail, where they will be responsible for the safety and security of all inmates, staff, and visitors to the facility. The newest class of recruits brings with them a wide array of cultural, educational, and experiential diversity. Between 23 new recruits, eight world languages are spoken, more than half have prior law enforcement and/or corrections experience, and seven are currently serving or have served in the military. The new recruits joined the Sheriff and members of the community last week as they highlighted the community oriented policing efforts by our agency that have become a national model.